At the 2018 AFPM Annual Meeting, Stillwater Associate Mike Leister offered a presentation analyzing the changes that EPA is making to the RFS in 2018. 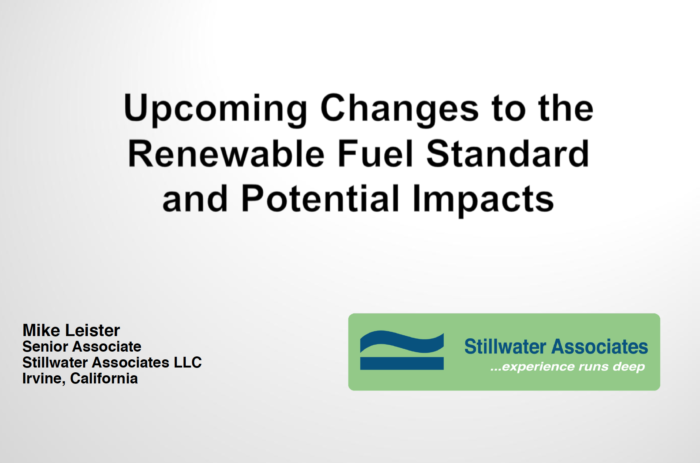 He examined the reasons for these changes and their likely impact on renewable biofuels and the various RIN markets. Mike also discussed the projected status of the RIN banks at the end of 2017 and through 2018. Finally, Mike looked at EPA’s likely RFS moves in the future. You can view a PDF of Mike’s presentation here.